From the time of its creation through today, the title of the Duke of Wellington has been one of the most recognizable in the peerage of the United Kingdom. It was just one of several European titles and other decorations gathered by the 1st Duke, Arthur Wellesley (1769-1852), in the course of an active political career and a celebrated military career that included the defeat of Napoleon at the Battle of Waterloo in 1815. The Duchesses of Wellington have, for several generations now, worn a tiara grand enough to suit this prominent family title. The tiara features intricate, large diamond scroll motifs dotted with large single diamonds and interspersed with smaller knotted diamond scroll motifs, again with several large single diamonds included. 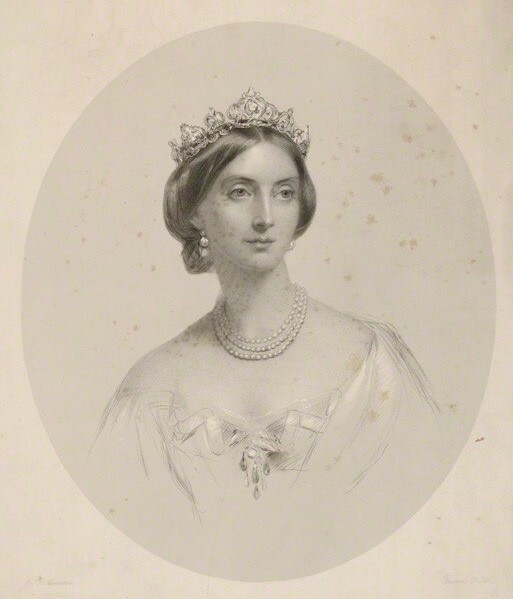 The diadem dates back at least to Elizabeth Wellesley (née Hay, 1820-1904), the wife of the 2nd Duke. She was depicted wearing the tiara in 1859. The couple both held prominent court positions in Queen Victoria's household, with the 2nd Duke serving as Master of the Horse and the Duchess serving as Queen Victoria's Mistress of the Robes for several years. 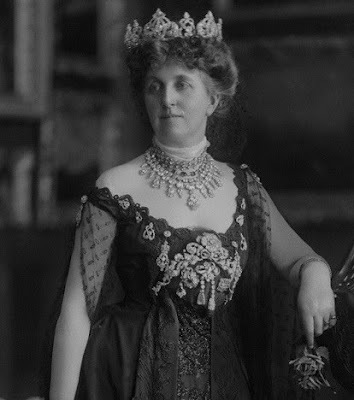 Kathleen Wellesley (née Williams, 1848-1927), the wife of the 4th Duke, wore the tiara in a couple of portraits. Above, she's also shown wearing a magnificent diamond necklace that is still with the family. And the tiara, of course, is also still with the family. The current Duchess of Wellington (born Princess Antonia of Prussia) first wore the Wellington Tiara for her 1977 wedding to the Marquess of Douro, as the current Duke was titled at the time. He succeeded to the Wellington title in 2014. The Wellington name was brought back to the forefront in 2015, for the 200th anniversary of the Battle of Waterloo. 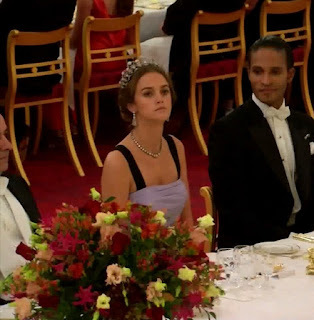 Hosting a splendid formal Waterloo Banquet at Apsley House, the Duchess wore the Wellington Tiara and the same diamond necklace the 4th Duchess paired with the diadem. Lady Charlotte and her husband were guests at last year's Colombian state banquet, where she wore a different family tiara. The Wellington Tiara seems to be the main headliner, though. For a grand tiara with so many big stones, it manages to keep a certain lightness to the design. I think it's a success on every level. How do you rate this big gun tiara?